Câble de frein à main pour MG MG ZS 180 120 2.0 TD BOSCH. # SPB000610. MGF / MGTF. Handbrake Cable Passenger Side. Genuine MGRover Part. # SPB000600. MGF / MGTF. Handbrake Cable Drivers Side. Genuine MGRover Part. Suitable for all Austin Healey Sprites & Midget's up to 1976. MG Specialists Since 1982. NEWLY MANUFACTURED IN STEEL. 5/16" BSF INTERNAL THREADS FOR OUTER ADJUSTERS ON BRAKE CABLES. MG MG TF 115 Convertible Petrol 03/2002 12/2009 RWD 16 116 85. MG MG TF 120 Convertible Petrol 03/2002 12/2009 RWD 16 120 88. MG MG TF 160 Convertible Petrol 03/2002 12/2009 RWD 16 160 118. MG MG TF 135 Convertible Petrol 03/2002 12/2009 RWD 16 136 100. 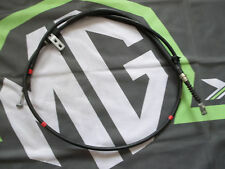 MG MGB 1.8 Brake Cable Rear 62 to 80 Hand Brake QH BHH2074. ROVER BHH2074. MG MGB Convertible 1.8 Convertible Petrol 05/1962 12/1980 RWD 8 95 70. MG MGB Convertible 1.8 Convertible Petrol 05/1962 12/1980 RWD 8 92 68. PART NUMBERS SPB000600 SPB000610. GENUINE MG ROVER MGF - TF. HAND BRAKE / PARKING BRAKE CABLES. MG MG ZR 105 Hatchback Petrol 06/2001 04/2005 FWD 16 103 76. MG MG ZR 120 Hatchback Petrol 06/2001 04/2005 FWD 16 117 86. MG MG ZR 160 Hatchback Petrol 06/2001 04/2005 FWD 16 160 118. MG MG ZR 2.0 TD Hatchback Diesel 06/2001 04/2005 FWD 8 100 74. 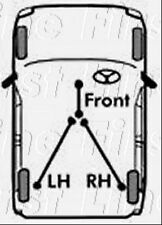 YOU ARE PURCHASING A SET OR FOUR REAR BRAKE PADS AND A SET OF FOUR HAND BRAKE SHOES, FOR THE REAR OF ROVER 75 MG AND ZT MODELS,FROM 1999 ON WARDS. 75 Tourer (RJ). This item fits the following cars. MG MG ZS 1.6 Saloon Petrol 07/2003 04/2005 FWD 16 107 79. MG MG ZS 120 Saloon Petrol 07/2001 04/2005 FWD 16 117 86. MG MG ZS 180 Saloon Petrol 07/2001 04/2005 FWD 24 177 130. MG MG ZS 2.0 TD Saloon Diesel 01/2004 04/2005 FWD 8 101 74. NOTE THIS DOES NOT FIT THE ZTT 260 MODELS. MG - MG ZT - 2.0 CDTi 06.02-09.03 -. MG - MG ZT - 2.0 CDTi 11.02- -. MG - MG ZT- T - 2.0 CDTi 06.02-09.03 -. MG - MG ZT- T - 2.0 CDTi 11.02- -. MG - MG ZT - 1.8 16V 01.03- -. MG MG ZR 105 Hatchback Petrol 06/2001 04/2005 FWD 16 103 76. MG MG ZR 160 Hatchback Petrol 06/2001 04/2005 FWD 16 160 118. MG MG ZR 120 Hatchback Petrol 06/2001 04/2005 FWD 16 117 86. MG MG ZR 2.0 TD Hatchback Diesel 06/2001 04/2005 FWD 8 100 74. Specifico per: MG MG ZT- T 160 2.5 KW 118 CV 160 10/2001-07/2005. A seguire tutte le misure e le informazioni del sensore VI PREGHIAMO D’INVIARCI LA COPIA DEL VOSTRO LIBRETTO COSì DA EVITARE ORDINI ERRATI. MG TC handbrake greasing assembly. Original items normally lost due to being fixed to inside face of rotting timber bottom rail. All brass fittings, mounting bracket is stainless steel. 3/16 kunifer 10 pipe is dispached as a straight length easy to bend by hand. Original handbrake cable greasing abutment is 5/16 bsf which new union has been made to suit, other threads are 26tpi as original, Price is for a pair of assemblies. 1 X NEW REAR HANDBRAKE CABLE. MMM MG ZR 160 ALL MODELS. CALL US FOR A QUOTE OR BOOKING ON. MG TF MGF 1.6 1.8 HARDLY USED 22K! 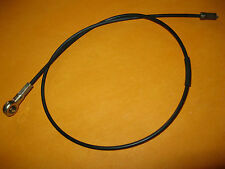 HAND BRAKE CABLES PAIR SPB000610 SPB000600. VERY GOOD CONDITION - THE MG TF HAD A VERY SMALL 22000 MILES ON THE CLOCKS AND IS REFLECTED IN THE ITEM. MG Rover Part Number - SPB000610 ( Replaces SPB100772 ). MG Rover TF MGTF 1.6i 1.8i 115 120 135 160 From 2002 on. MG Rover F MGF 1.6i 1.8i 1.8VVC 1.8 Trophy 160 From 1995 to 2002. Rover 400 / MG ZS. HANDBRAKE CABLE. ROVER 414 - 1.4 - 1995 > 2000. ROVER 416 - 1.6 - 1995 > 2000. ROVER 420 - 2.0 - 1995 > 2000. ROVER 45 - 1.4 - 1999 > 2005. ROVER 45 - 1.6 - 1999 > 2005. ROVER 45 - 1.8 - 1999 > 2005. ROVER MG MONTEGO 1.3, 1.6, 2.0, 2.0i, 2.0TD (86-93) Not Estate. If you are not 100% happy with the part you ordered, we will replace the part or your money back. MG MG TF 120 Convertible Petrol 03/2002 12/2009 RWD 16 120 88. MG MG TF 115 Convertible Petrol 03/2002 12/2009 RWD 16 116 85. MG MG TF 135 Convertible Petrol 03/2002 12/2009 RWD 16 136 100. MG MG TF 160 Convertible Petrol 03/2002 12/2009 RWD 16 160 118. 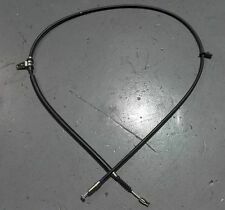 1 X NEW REAR HANDBRAKE CABLE. MMM MG ZR (2001-) 1.4i. MMM MG ZR (2001-) 1.8i. MMM MG ZR (2001-) 2.0TD. Suitable for tube axle MGB's with wire wheels from 1968 to 1974. MG Specialists Since 1982. IMPORTANT INFORMATION. Wales only;. With a plethora of parts available on the shelf, we should have the part you require. It represents the standard we aspire to achieve on goods marked as such. Best of Rover Spares LTD. Prices remain in force until we publish new prices on our website. ROVER SPB000230. MG MG ZT 1.8 16V Saloon Petrol 01/2003 07/2005 FWD 16 120 88. MG MG ZT 1.8 T 16V Saloon Petrol 01/2003 07/2005 FWD 16 160 118. MG MG ZT 160 Saloon Petrol 06/2001 07/2005 FWD 24 160 118. MG MG ZR 105 Hatchback Petrol 06/2001 04/2005 FWD 16 103 76. AUTO DELTA CB2700. MG MG ZR 120 Hatchback Petrol 06/2001 04/2005 FWD 16 117 86. MG MG ZR 160 Hatchback Petrol 06/2001 04/2005 FWD 16 160 118. MG Rover Part Numbers - NAM8540. New MG Rover MGF MGTF Foot Brake Pedal to Brake Master Cylinder Linkage Nylon Coated Clevis Pin. MG Rover TF MGTF 115 120 135 160 1.6i 1.8i From 2002 on. MG Rover F MGF 1.6i 1.8i 1.8VVC From 1995 to 2002. 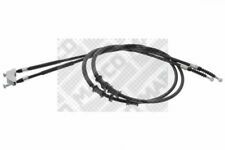 QUINTON HAZELL R/H handbrake cable for HONDA CIVIC 5 Door MB3 (Disc Brakes) 1995 to 2001,ROVER 400 Series 2 (Disc Brakes) 1995 to 2000,ROVER 45 RT (Disc Brakes) 1999 to Chassis 4D632463,MG ZR (Disc Brakes) 2001 to 4D632463. MG Rover MGZR ZR 105 with drum rear brakes from 2000 to 2005. MG Rover 200 211 214 216 with drum rear brakes from 1996 to 2000. MG Rover 25 1.1i 1.4i 1.6i with drum rear brakes from 2000 to 2005. MG Rover Part Numbers SPB101170, SPB101171 and SPB000340.